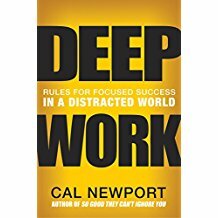 One of the best business books of the last several years has been Cal Newport’s Deep Work: Rules for Focused Success in a Distracted World. Newport may be best known, ironically, for a Ted talk he gave recommending that you quit social media. He is a young professor of computer science at Georgetown University in Washington, and the author of several books on productivity and being a student. Deep Work makes the case that knowledge workers need to build and implement conscious strategies to do deep work, so that they can concentrate on the hard parts of their job: the parts where you “push your cognitive capabilities to their limit.” Newport suggests that such work creates new value and is hard to replicate, making it economically valuable as well as personally enriching, and leading the practitioners of deep work to thrive. Shallow work, by contrast, is not cognitively demanding—it is what we typically call busy work, and you can do it while your phone beeps and you have Facebook open on a tab behind your company’s employee portal. Shallow work is easy to replicate, and of course much of it is being automated. But there are still lots of ways knowledge workers can add almost no value by flitting from one computer or phone-oriented logistical task to another. 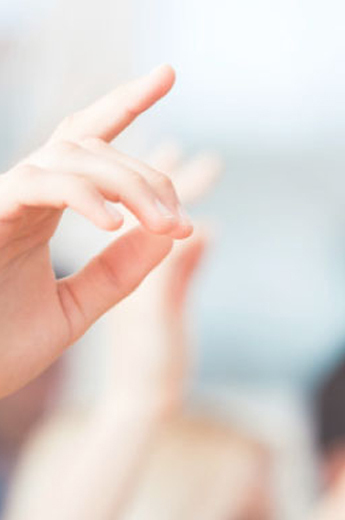 Then there is the assumption that use of any tool on the Internet must automatically enhance our jobs and our lives. This ignores what researches call the concept of “attention residue,” where switching from one task to another, as we so frequently do on our connected devices, leaves us like an over-caffeinated teenager, moving around restlessly without finishing anything. What we should be doing, says Newport, is “batching” high-concentration tasks, in other words, doing deep work. Sometimes what makes deep work possible is ignoring or temporarily cutting off technology. This makes possible an emphasis on quality and craftsmanship in your work that will definitely be less fashionable than the latest social media platform. Newport not only buttresses his argument for deep work with relevant research from psychology, philosophy, and business, but he makes a lot of practical suggestions for how you can incorporate it into your work day based on your own particular circumstances. He also advocates the notion of scheduling every minute of your work day, and then revising the schedule (on paper) as necessary, not to introduce constraints but to ensure that you use your time in a thoughtful and productive manner. Newport distills this idea into a slogan: “Don’t Take Breaks from Distraction. Instead Take Breaks From Focus.” In other words, if you relax during the day by surfing Facebook, schedule those relaxing breaks around (bigger) blocks of time when you are doing deep work. I think his rule to “embrace boredom” is especially insightful. One of the productivity-killing aspects of the smart phone, in addition to its role as a distraction machine, is that we can use it to keep ourselves constantly busy with shallow work. Instead, Newport argues that we should do things like take a walk and focus on a professional problem, trying to come up with a solution. If this gets boring, and we have to keep re-setting our minds back to the problem, we need to stick with it. He also advocates downtime, and a shut down ritual each day. Telling ourselves that we are never done adds to our stress levels, and does not add to our productivity. But a shut down ritual that includes planning for the next day allows us to move our attention away from work, relax, focus on our loved ones, and then return to work newly energized the next day. Many of us will not be able to implement his suggestion to “Quit Social Media” because of the professional expectation that we use it. However, his skepticism about the value of social media is a useful corrective to the assumption that all such activity has automatic utility. Shallow work, Newport tells us—and this includes professional use of social media—is just fine if it does not infringe on time for deep work. As all of us know, time management is ultimately a zero-sum activity—if an hour is spent on something unproductive, you can’t get it back. If you want to accomplish more high quality work, and do so more efficiently, read this book! Any practitioner of Lean or change management should find Newport both stimulating and highly practical.